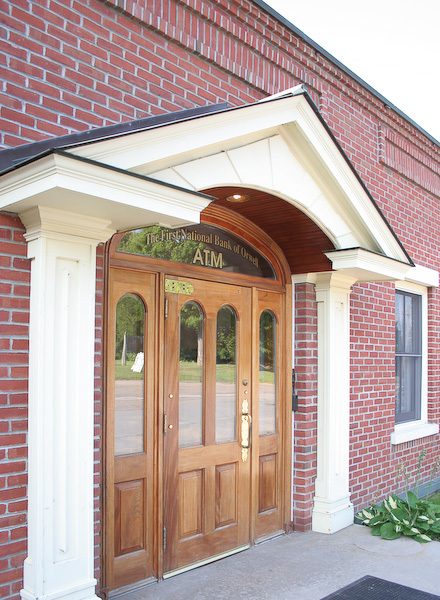 Continuing our tradition of community service and local pride, the First National Bank of Orwell still has its offices in the original bank building on Main Street in Orwell. Our first branch was opened on Rt. 22A in Shoreham in 2006. We try to keep our business style simple, providing basic financial services that include Passbook Savings, Flat Fee Checking, Christmas Clubs, Certificates of Deposit, IRAs, Auto Loans, Personal Loans, Small Business Loans and Home Mortgages. We have 16 full time employees and several seasonal helpers. Up to date information on the bank’s size and condition is available from the FDIC at fdic.gov, or by inquiry at the bank.